In the final days of his challenge to U.S. Sen. Bill Nelson, D-Fla., Florida Republican Gov. Rick Scott is calling on the president and vice president to help him across the finish line. President Donald Trump had two stops in the Sunshine State last week, rallying Florida voters behind Scott and GOP gubernatorial hopeful former U.S. Rep. Ron DeSantis, R-Fla., appearing in Fort Myers on Wednesday night and in Pensacola on Saturday. Trump also tried to rally supporters behind Scott with an email sent out on Friday. “I’m so excited to support Governor Rick Scott’s campaign to be your next U.S. Senator. Rick has my full and total endorsement, and I was with him in the great state of Florida, and I hope you will join me in standing with him,” Trump wrote. “While Rick has been working so hard to help the people of Florida, Bill Nelson has done next to nothing in Washington. Can you imagine being in political office for over 46 years and accomplishing so little? But that’s what happens when you listen to Chuck Schumer and Nancy Pelosi instead of your own people. Trump wasn’t the only member of the administration to go to bat for Scott on Friday. Vice President Mike Pence also sent out an email on Scott’s behalf. “This could decide control of the House and the Senate, and Democrats are doing all they can to take back the Senate and enact the most extreme parts of their agenda. That’s why we must make sure that we support dedicated and principled leaders like Governor Rick Scott,” Pence wrote. 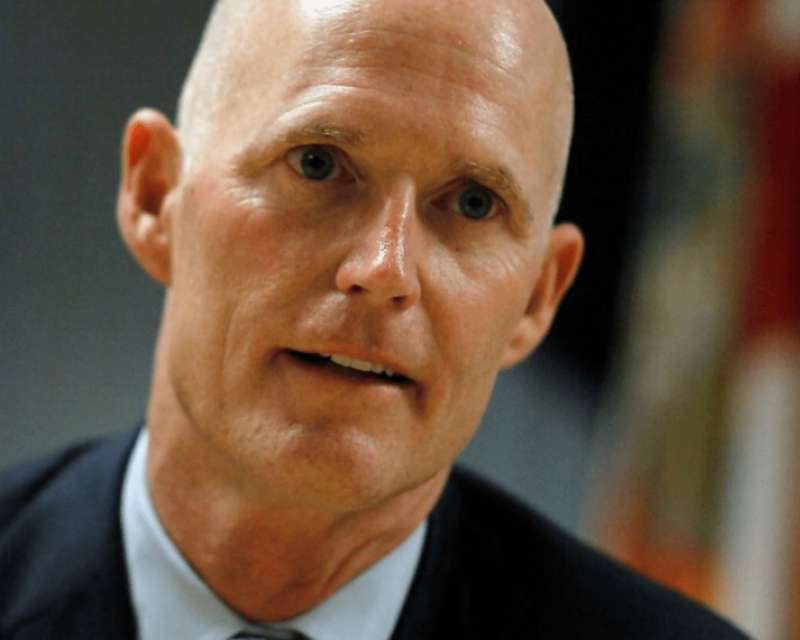 “I have the utmost respect for Rick Scott. Rick has worked tirelessly to improve Florida’s economy and to bring jobs back to the people of his state. As governor of Florida, Rick has always put the interests of his people first, cutting burdensome regulations, cutting taxes, and helping small businesses succeed without serious government intrusion. I know he will bring that same attitude and work ethic to the Senate. Nelson has also been calling on the support of national politicians, including appearing at a rally in Miami with former President Barack Obama on Friday. Polls show a close race between Nelson and Scott.